I remember seeing Yes on the Union tour. It was an amazing show. For those who didn’t see it and don’t know about it, Union, the album was kind of a copy and paste job pulling both Anderson, Bruford, Wakeman and Howe and the Trevor Rabin version of Yes together into one band. The disc had mixed results. The tour, however, was incredible! Jon Anderson, Bill Bruford, Steve Howe, Tony Kaye, Trevor Rabin, Chris Squire, Rick Wakeman and Alan White, all on stage at once, all playing through Yes tunes from various periods in the group’s history. Rumors floated around about a live video that was recorded but never released. Well, now many years later the video and CD have both seen the light of day. I don’t have the video yet, so I can only comment on the audio recording. It’s a two CD set and the sound quality and performances are excellent. That doesn’t mean it’s without its problems, though. The biggest issue comes about in the set list. It’s obvious that the whole concert is not presented. It seems there would have been enough time given the double disc configuration. Even if it weren’t with two CDs, this was an important and rare enough event that it would seem a third disc would have been warranted. Just taking it with the amount of time presented here, there are questions as to why some things were included and others were not. While something like “Heart of the Sunrise” is great, there are multiple live versions of it out there and other songs from the show aren’t represented in live disc treatments. Even just the solo sections choices are questionable. Most are included but the one that was the most incredible, a dual drum solo with Bill Bruford on electronic kit and Alan White on acoustic, was left off in favor of a Steve Howe solo that doesn’t vary much from other solo recordings. Honestly, I’m not even a fan of drum solos, but that one was exceptional. Either all the solos should have been included or none of them. It just seems arbitrary and silly this way. Of course, with the questionable inclusion list, this is still a ‘very good” live album. It’s just a shame because it could have been better. The classic Yes opening piece, “Firebird Suite” is presented here. They turn in a fifteen minute plus rendition of this Yes classic. Many of the changes in the arrangement are subtle here. There’s just overall a really full and powerful sound on the number. The guitar solo segment changes are more obvious with both Howe and Rabin taking solos. If there’s a complaint here, it’s that Rabin’s soloing works out into near noise at times. I’ve never been a fan of this cut. For my money it’s the one Yes track I just can’t stomach. It’s too bland and too Beach Boys oriented. This live version is no different in that regard. 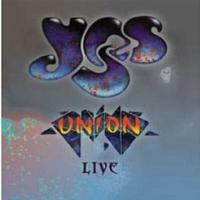 This is a great live rendition of one of Yes’ real classic pieces. It’s strong, but it seems to me that leaving this one off the set and replacing it with one of the less represented tracks would be better. After all, there are several other live recordings of this. It would have been preferable to include the entire concert on this set, but if songs should have been skipped, it should have been the ones with multiple live versions already released. This is Steve Howe’s guitar solo section on the album. While it’s nice, it’s again an area where we might have had fresher material. This same solo, more or less, is represented on other live sets, and really, if solo sections are included here, all of them should be included. There’s a cool instrumental section that leads into Yes’ biggest hit of all time. The instrumental section mid-track on “Owner of a Lonely Heart” gets some interesting flavors brought to play. There are also some cool soulful vocals in the mix and Rick Wakeman provides a cool keyboard solo late in the piece. Another Yes classic, this is delivered without a lot of changes. Still, there’s a little noise bit that sounds like a shout or guitar or keyboard effect that is repeated at several points early. It’s just plain annoying. There are some more positive changes in the soloing sections. Of course that’s a section where the band always let it fly in concert. Here we get Trevor Rabin’s guitar solo section. It’s not entirely a solo outing, though, because there are some keyboards in the beginning. It’s an intriguing and powerful cut, but perhaps another full song might have been a better choice for the space used by this. Chris Squire’s solo section takes up almost ten minutes of the disc. This is really would have been a great place to include something else. I should state that I’m a bass player myself and Chris Squire was a huge influence on my playing. Yet, a big chunk of this is “The Fish,” and there’s a great live version of it on Yessongs. Sure, some of Drama is included in this jam and there’s a version of “Amazing Grace” here, too, but really the space would have been better used by something that hadn’t been included on a live disc at all before. It should be noted that Alan White provides drums for much of this and Jon Anderson joins for the “Amazing Grace” part, meaning that it’s not entirely solo. This time around it’s Rick Wakeman’s solo section. Some of this is the same as his solo from Yessongs, but there are some full band arrangements (well…keys, guitar and drums) and this only takes up about four minutes of the set, meaning its inclusion isn’t such a bad thing. Here Yes turn in the epic of the set. It’s a powerhouse and works extremely well here. There’s no question about the inclusion here. In fact, this is arguably the highlight of the whole album. I have to admit a “how many versions of this song do we need?” attitude about “Roundabout.” I’ve heard the tune so many times that it’s just a bit redundant. Still, this rendition is a good one.